December is an exciting month: not only is it the holiday season where you can listen to as much Christmas music as you want and watch Home Alone on repeat without a care in the world, but it's also the time Kimye will welcome their second child. Talk about a joyous occasion! As soon as their baby boy arrives, Keeping Up With the Kardashians fans are going to be ecstatic, especially when it comes to the name. Speaking of names, did you know what Kim Kardashian and Kanye West haven't picked a name yet? 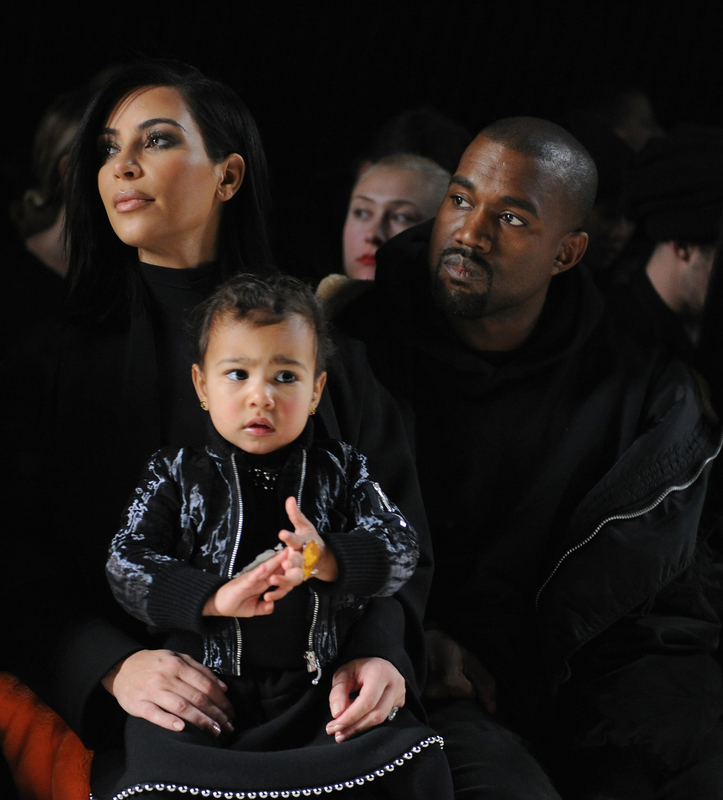 North West has some ideas about Kimye baby names though. Update: Kim announced on her website that the Kimye baby is named Saint West. Kardashian told People, "It’s like the last thing that Kanye and I did when North was born. We didn’t name her for like seven days. I feel like it will just come to us." I guess Easton West isn't a definitive choice. However, that could all change once the baby arrives; maybe he'll just look like an Easton. But if they need helping name the baby when the time comes, North has some ideas. In fact, what she's calling him now is pretty perfect. Kardashian told People in that same interview, "She just says, 'Baby brother' ... "[We ask her], 'What should we name baby brother?' [She says], 'Baby brother!'" What's wrong with that? It's cute, unique, and has alliteration. Isn't that what the Kardashians love? I mean, it doesn't start with a "K," but who kares? Clearly, North is a natural at naming babies. I guess if Kimye doesn't like what North comes up with, then they can just go to Kourtney Kardashian's children, who have also come up with a few suggestions. "[My nephew Mason and niece Penelope] come up with different names all the time," Kardashian said. And you know what? I'm all for it. Never underestimate the creativity of children, Kim. Here's hoping "Baby Brother" is at the top of your baby names list, girl.